D23 hosted a screening of Newsies at the Walt Disney Studios on Feb. 25, 2012, and Jeff and Kristen report from the event. Featuring a panel discussion with director Kenny Ortega and cast members Marty Belafsky and Kevin Stea, the afternoon screening presented fans of the 20 year old film with new insights into the making of the movie. Also, Disneyland recently presented a “New Orleans Bayou Bash” featuring exclusive menu items and entertainment, and we report on the culinary offerings. 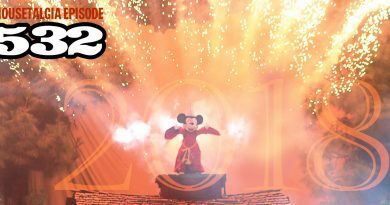 Plus – Minnie’s Fly Girls land in DCA, we pursue some Disney trivia, and our listeners report on Disney’s recent “One More Disney Day” 24-hour event on Leap Day 2012!